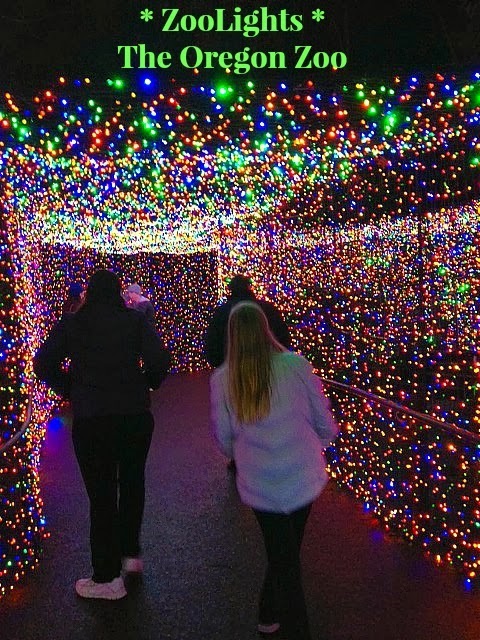 There's plenty of hot cocoa to keep you warm while you stroll the light filled paths at ZooLights. Visit the bats in their habitat, they're pretty entertaining munching on broccoli and bananas. (My girls were trying to figure out how to put little Santa hats on them. I'm pretty sure that won't happen.) I did love the tunnel of light, but I don't have a favorite display. It was all so pretty! What a beautiful night! Come see The Oregon Zoo in a whole new light! 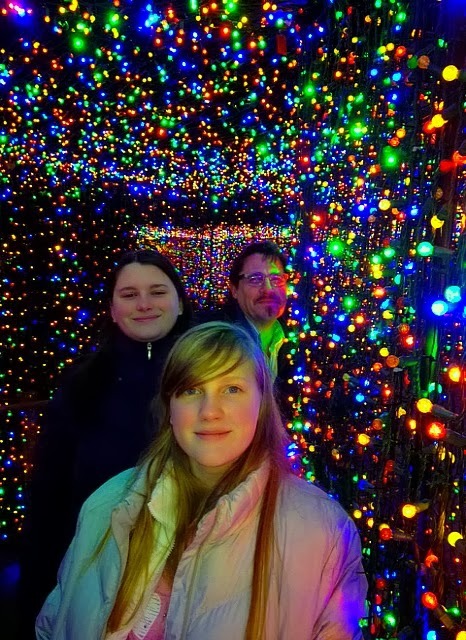 Disclosure: I was given admission to ZooLights in exchange for writing this post. All views and opinions expressed are my own.